Understand how applications connect and communicate with each other. Resolve problems in real-time by understanding application dependencies. Obtain a bird's-eye view of your application complexity. Fetching customer or product details from your structured (MySQL, Microsoft SQL) and NoSQL (Cassandra, MongoDB) database types. Sending out emails, SMS, or RSS feeds through HTTPS requests via third-party API calls and web services. Storing data in a cache framework like Redis or Memcached for performance optimization. Any anomalies in these workflows can be easily spotted with the help of application dependency maps. 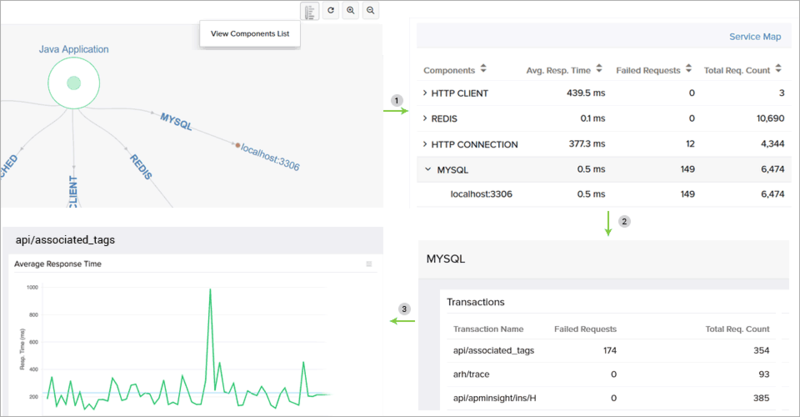 Optimize application performance by observing key metrics. Identify any abnormalities—like increases in response time or throughput—at a single glance and inspect them without delay. View problems stemming from dependent resources. A problem with dependent or external resources may be the source of your application's performance degradation. These bottlenecks can be eliminated by identifying when a resource goes down or if there is a transaction failure in your external connections. With this information at your disposal, you can rectify problems before your customers even catch wind of it. Drill down to the exact line of code. 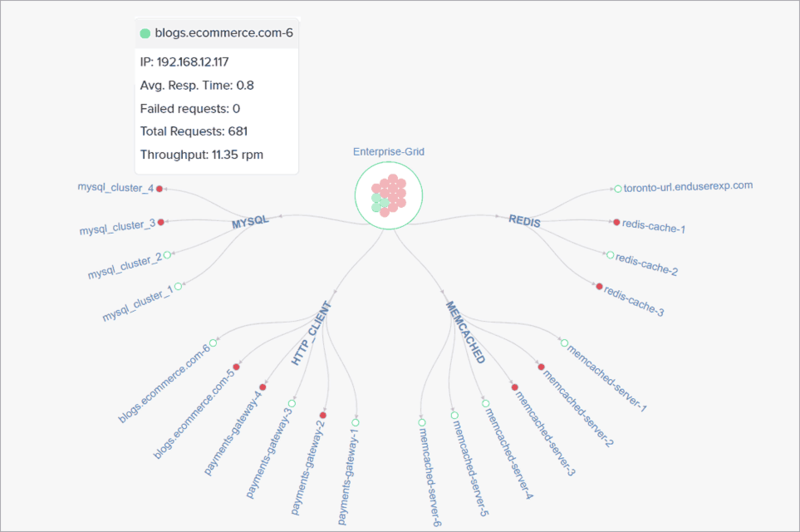 With application dependency maps, it's possible to map a problem from its source down to individual lines of code. Easily identify and troubleshoot a problem's root cause with the help of information on its related transactions, a failed request count etc.